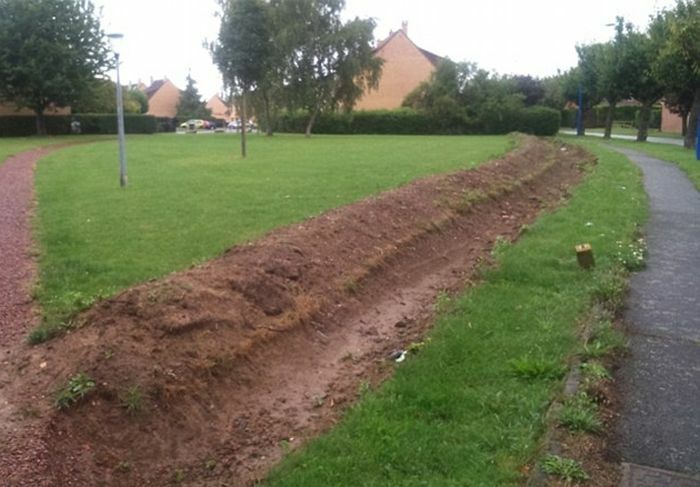 The town of Wavrin, France is currently in an uproar over these trenches being dug around their fields. 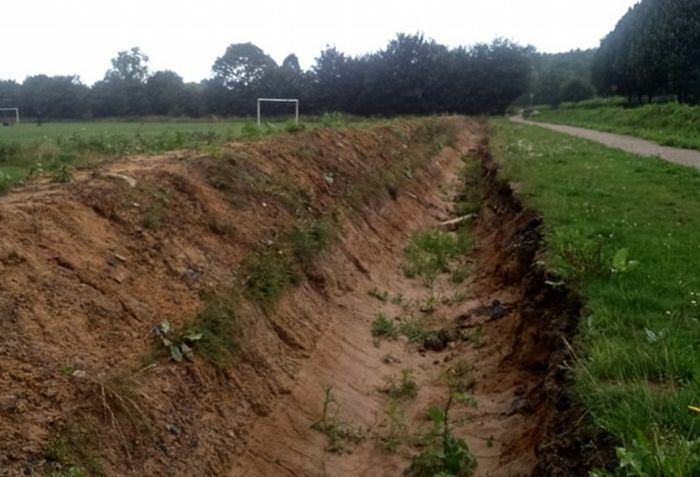 Their fields had been occupied by traveling people with caravans recently and the town saw these trenches as the only way to prevent the travelers from setting up camp with their caravans. 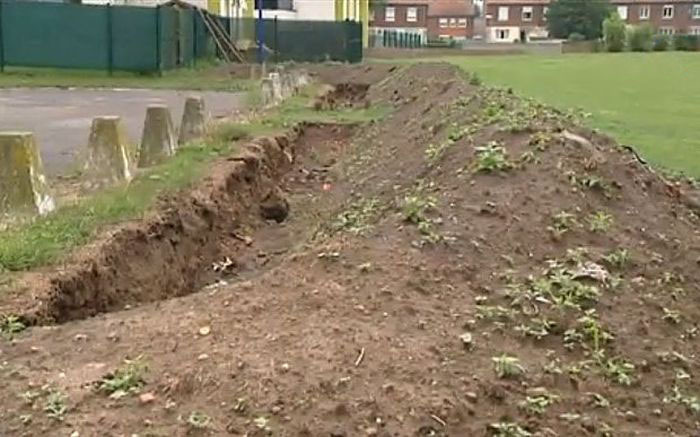 Those trenches look like crap, but I guess they're better than Gypsies. wow, those trenches in #3 and #4 are really useful! 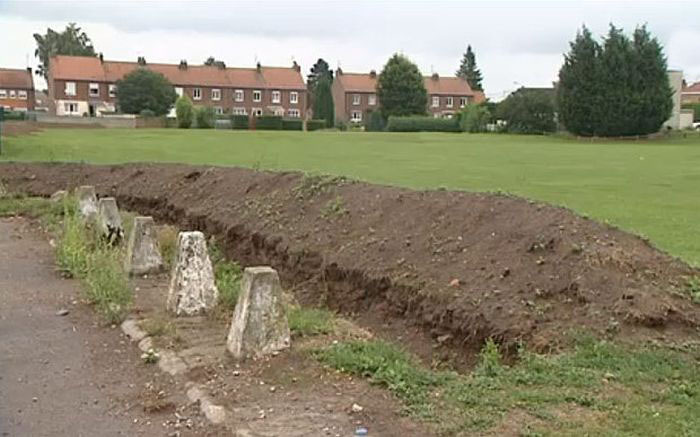 You can also use a row of large boulders, placed far enough apart so that a caravan cant fit through. They do that in Ireland. Landmines would be the best choice. I f*cking hate gypsies, mate.